Unvegetated, open mudflat areas are a dominant feature of tropical coastlines, relatively productive and known to support high ichthyofaunal diversity. However, the mudflat’s food web is poorly characterized, especially the primary production that supports it and the degree of dependence on adjacent mangroves. 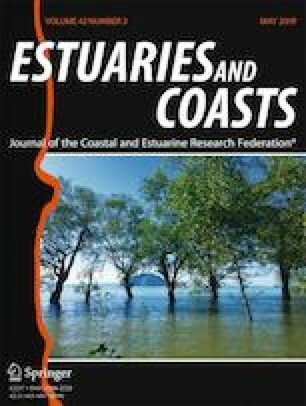 In this study, we investigated the trophodynamics of vagile fish fauna utilizing a large tropical intertidal mudflat area during high tide in Klang, Malaysia, using stomach content and stable isotope (carbon and nitrogen) approaches. Cluster analysis revealed that 53 major fish species using the mudflats, which comprised mainly of juveniles, can be grouped into eight dietary guilds implying a variable degree of food resource partitioning among species. The dominant guild of “shrimp feeders” and all other guilds prey on shrimps of the families Penaeidae and Sergestidae to varying degrees. These abundant crustaceans constitute the prevalent shared prey resource, ecologically important to the co-existence of many mudflat fishes. Stable isotope analysis revealed four to five trophic levels in a relatively complex food web fueled not only by microphytobenthos but also phytoplankton in highly turbid waters. Close pelagic–benthic coupling due to shallow waters and strong tidal mixing probably sustains the mudflat’s primary production and relatively high number of trophic levels despite the transitory and highly dynamic environment. The mudflat’s autochthonous production and diverse prey resources highlight the importance of this often overlooked coastal habitat especially in supporting the early life stage of diverse fish species and, thus, coastal fisheries. We are grateful to Koh Lay Tung, Abdullah bin Saad, and others for their help in the fish trappings. We also thank UM for logistical and laboratory support. This work was funded by the Japan International Research Center for Agricultural Sciences (JIRCAS, grant no. 57-02-03-1005) and University of Malaya (UM, grant no. PV003/2012A). Froese, R., and D. Pauly. 2018. FishBase. World Wide Web electronic publication. www.fishbase.org. Accessed 19 Apr 2018. R Core Team. 2017. R: A Language and Environment for Statistical Computing. R Foundation for Statistical Computing, Vienna. https://www.R-project.org. Stock, B. C., and B. X. Semmens. 2016. MixSIAR GUI user manual. Version 3.1. http://github.com/brianstock/MixSIAR/. https://doi.org/10.5281/zenodo.47719. Accessed 18 Nov 2017.